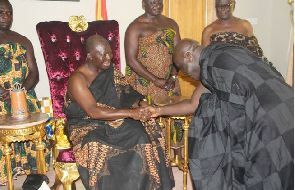 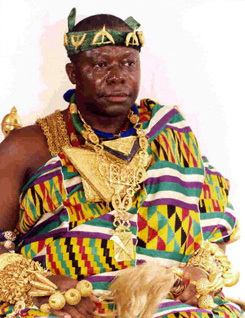 The Chief of Staff, Julius Debrah, on Friday led a government delegation to commiserate with the Asantehene, Otumfuo Osei Tutu II, following the death of the queen mother of the Asante Kingdom, Nana Afia Kobi Serwaa Ampem, who passed away on Monday. 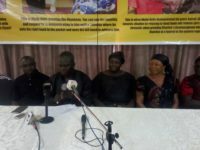 The delegation included Ashanti Regional Minister, John Alexander Ackon, Deputy Ashanti Regional Minister, Andy Osei Okrah, Minister of Works and Housing, Dr. Kweku Agyeman Mensah, Deputy Communications Minister, Ato Sarpong, and Presidential Staffers, Kojo Adu Asare, Emelia Arthur, and Mawushie Dzirasah, a presidential aide. 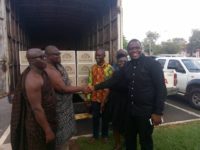 Other top officials included Deputy Defence Minister, Kenneth Adjei, Deputy General Secretary of the NDC, Koku Anyidoho, NDC National Communications Officer, Solomon Nkansah among others. 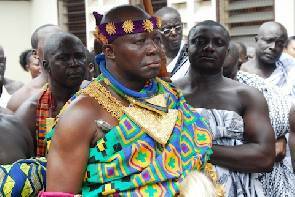 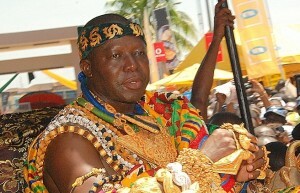 The Chief of Staff, who was on a five-day campaign tour of the region, subsequently suspended his activities following a ban on funerals, drumming and noise making in Asanteman until the burial of the queen mother.